Is there any tool which can list all static fields in source code. It is difficult to write reliable regular expression, because static field definition may have several formats, different initializers, may be spanned across several lines with line cut in many positions. In addition, in list there should be not static methods, "static" string constants, and "static" being substring of identifier name. I need this functionality for analyze potential GC roots or state sharing fields. 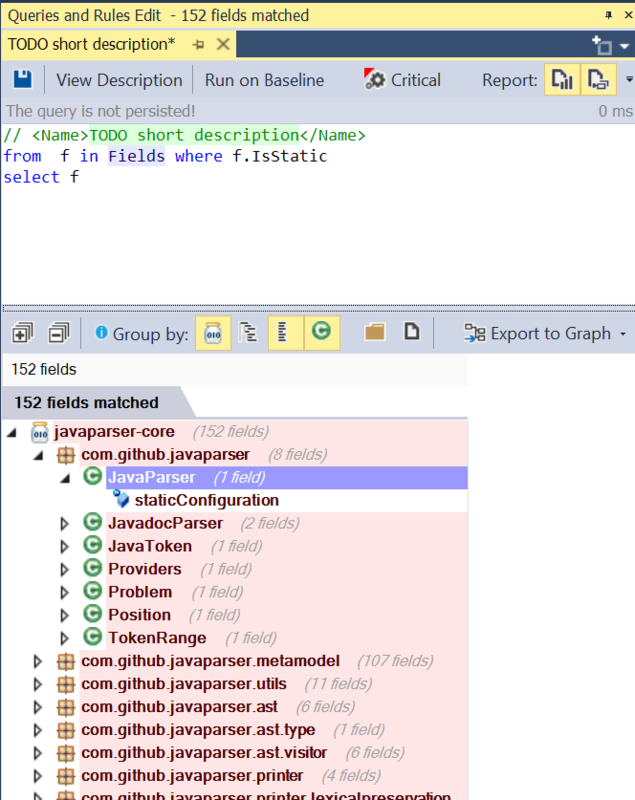 I use JProfiler, but it displays only static fields for classes currently loaded by Class Loader, but I have many classes which aren't loaded during runtime yet, or it is cumbersome to make them all loaded on runtime. You can customize the query to get only the static fields from a project, package or a class. Not the answer you're looking for? Browse other questions tagged java regex or ask your own question. What do would you recommend for Java code analysis (if anything)?